This is a giant soccer ball. 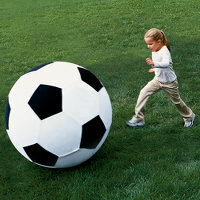 A really super-huge, giant soccer ball. Not much else to say. Man, that’s a big soccer ball.